I just picked up my very first Can Am Spyder last Friday, and I let me tell you... WHY THE HECK DID I NOT BUY ONE OF THESE A LONG LONG TIME AGO!!! I was able to get my hands on a brand new 2014 Can Am Spyder RS-S SM5, with the deep orange (or can am red from what i'm told it's called) with the gloss black trim package for just under $10,900. Absolutely beautiful... and at a great price! I am managed to rack up my first 150 miles, and am pushing forward on that first service at 600. I do not officially have my endorsement as of yet, but I am scheduled for my official Can Am 3 Wheel training next weekend, in a two day event. However, I am carrying my shops in-transit repair plate for now, just in case. As I am somewhat restricted at the moment and really don't feel like testing my luck, I have been sticking to the back roads for practice. Once I get past the class next weekend, you best believe I will be hitting the open road. It would be nice to see what kind of events are available for us Spyder riders here in Michigan. In time, I would also hope to pick up another Spyder for my wife, who is also a BRP enthusiast. Then we can do the whole "His" & "Her" thing... but for now, we will be investing in the passenger back rest to travel the roads together. Just need to pick up another comm for her helmet. Anyways, that's my brief crash course story. 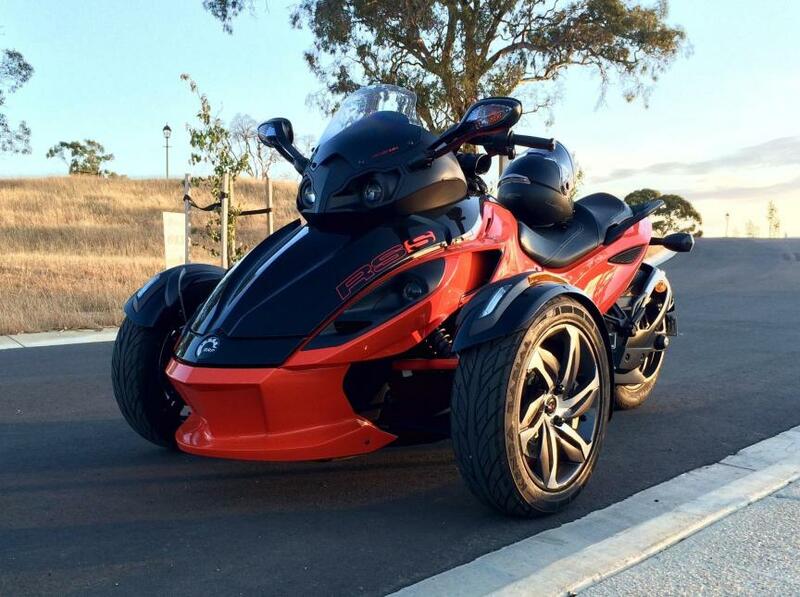 Not much to tell... other than we are all here for the same reason, the Spyder rush!! I look forward to getting to know you guys, and feel free to reach out at anytime. Safe travels!! Last edited by Martin Washburne; 06-18-2018 at 06:45 PM.